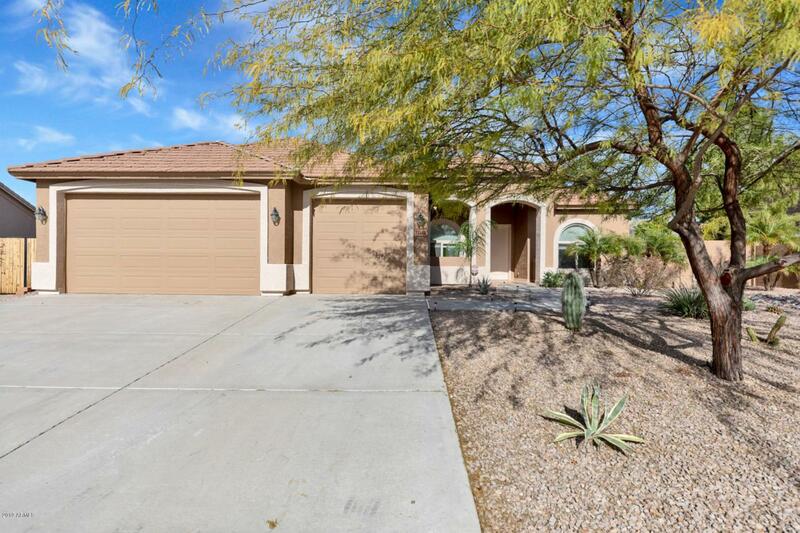 BASEMENT home with Private backyard and mountain views! Park your RV/Toy Hauler or boat at your own house! Drive your RZR from your own home to nearby off-road trails. Large 12,500 sqft lot. RV sewer clean-outs next to the garage. 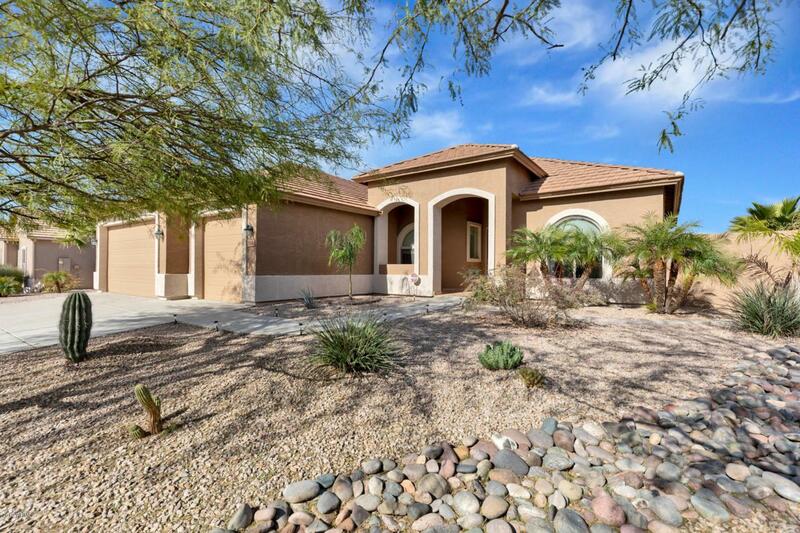 This 5 bedroom, 3 bathroom home has a split floor plan on the main floor. Private Pool in the backyard with no neighbors behind the house. 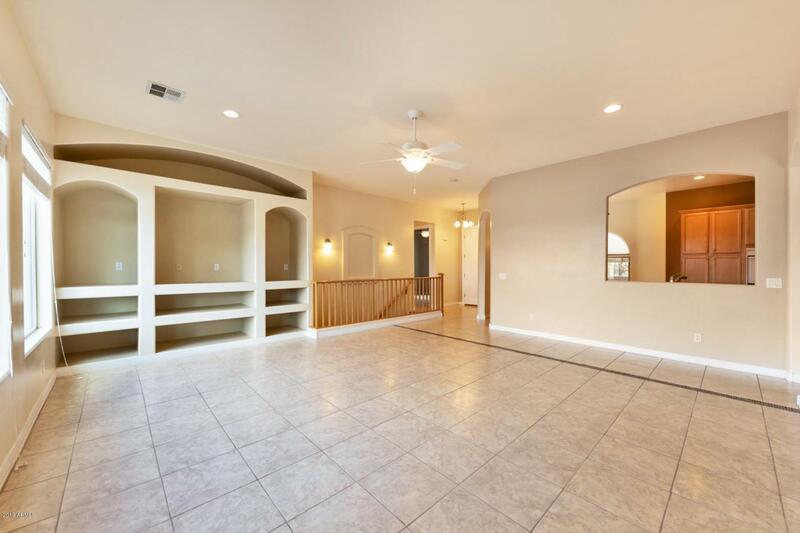 Open floor plan with 10' ceilings on the main floor and 8' doors. Insulated 3 car garage with 8' high garage doors and 220v plug. Maple cabinets and Granite tile countertops in the kitchen, double ovens. Refrigerator, washer and dryer are included. 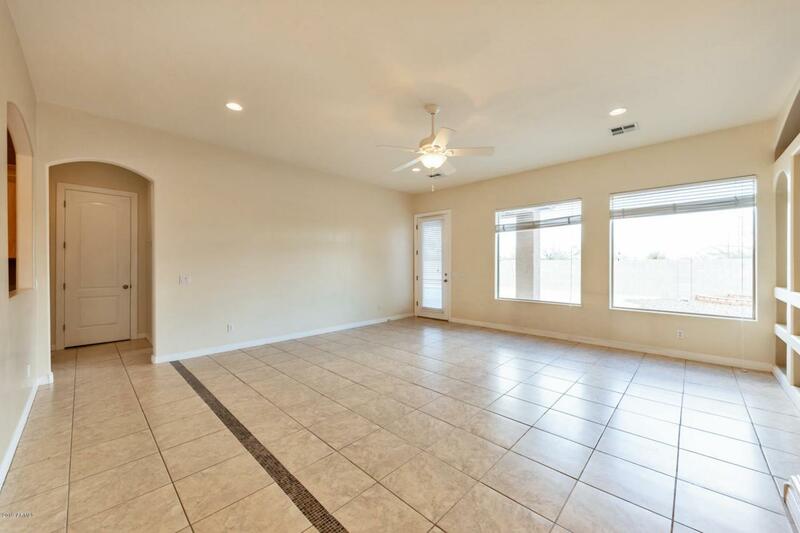 Basement has 2 spare bedrooms, Jack and Jill bathroom along with a quiet 2 stage A/C unit. Firepit and storage shed in the back yard along with a grapefruit and lime citrus tree. Hoa Name Salerno Ranch Assoc.